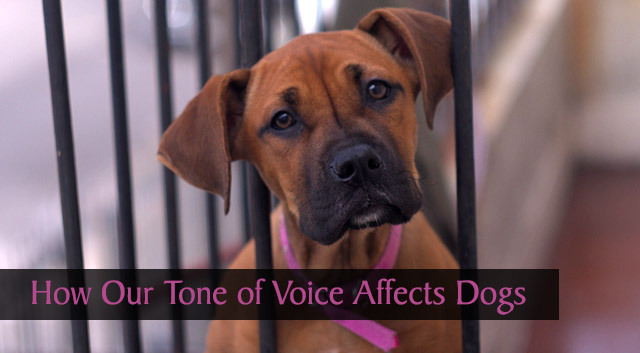 With all of the political talk about “tone” lately, I started thinking about how our tone of voice affects dogs and the various commands and messages we try to relay to them. 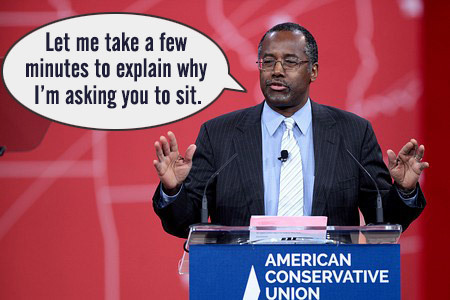 I had to laugh when imagining how the current Republican and Democrat frontrunners would do if they attempted to teach a dog to sit. It might go something like this. Even though this is a humorous way to illustrate the different tones people can have, studies show that our dogs prefer and respond better to specific tones of voice. They hear the words we speak, but tone, intonation, volume and the emotion behind the words are equally important. It’s not just what you say but how you say it. I can use the same word with Haley to mean two different things and she understands the difference from my tone of voice. For example, a high-pitched, upbeat “Hey!” means that something exciting is about to happen, whereas a low-pitched, stern “Hey!” means stop what you’re doing. You might be wondering if tone of voice is really that important when it comes to communicating with your dog. The answer is YES! If you’re having trouble training your pup or getting his attention, the problem might just be your tone of voice. Check out these tips to see if you’re on the right vocal track. Dogs respond with excitement when we use an enthusiastic, high-pitched voice. This tone is perfect for initiating play or when giving commands that are active, such as training the Come command. When training commands that are passive and require some restraint, such as the Sit, Stay or Down commands, use a low-pitched tone that’s authoritative but not harsh. When praising a dog, find a balance between the high-pitched tone that produces excitement and the low-pitched voice used for giving commands. It should be both upbeat and soothing and should appeal to your dog. Verbal corrections require a lower pitch and sharper tone that lets your dog know that you’re serious. When giving your dog affection, he’ll appreciate a quiet, soft voice that relays reassurance. Volume is also important. A very soft-spoken person may have trouble getting or keeping their dog’s attention but there’s no need to raise your voice to a high volume or yell at your dog. Once your dog is well trained, try whispering a command to him and you might be surprised how well he tunes in and pays attention. It can be hard for us humans to pay attention to someone with a monotonous voice and dogs have the same problem. Be sure to vary your tone and show some emotion with your voice. If your dog’s not listening to you, repeating the same command over and over again isn’t going to help. Work on getting your dog’s attention first then practice training by using clear, concise commands in the right tone of voice. Both women and men can have challenges with pitch and volume. Men sometimes forget to use a high-pitched tone when giving praise or trying to invoke excitement and women often forget to lower their pitch when issuing commands or corrections. Tone is important for politicians, but it’s even more important when communicating with our pups. They rely on our tone of voice just as much as our words when trying to understand us. Using the correct tone, intonation and volume can make a huge difference in how well we communicate with them. If you’re interested in learning more, check out this article by Anything Pawsome that highlights a study done by Sussex University on this topic. It’s really fascinating. Share your thoughts or give us your vote on which presidential candidate you think would be the best at dog training and why. Haley’s thinking pretty seriously about her answer but you don’t have to. It’s just for fun so make us laugh! Excellent post – quite useful. I need to share this. WOOF! THank you! Thanks for stopping by and sharing the post. You’re awesome, Piranha! Remaining calm and asking in the right tone normally works best, but there are those times where the nasty voice comes out and we listen up right away. Yelling all the time gets nothing accomplished but some folks don’t understand that. You’re so right! We’ve all heard a few frustrated dog owners yelling at their dogs, trying to get their attention. I rarely raise my voice with Haley but when I do, it definitely gets her attention and she listens. I couldn’t agree more! Brilliant post pals. Many thanks to my friends across the pond! Have a wonderful day. ? 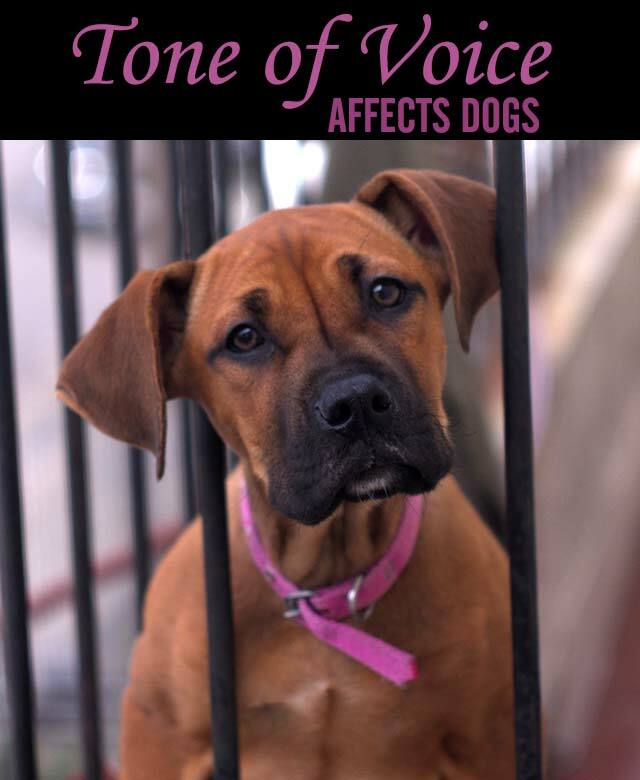 From a lifetime of living with dogs, in my experience, voice tones matter more than the words. Great post, and you are so right. Tone of voice means so much. It’s not like they understand english (well) not right away. Say the word “treat” in any manner of voice and they seem to understand english BOL. Thanks for sharing. I think I shall do the same (share). This is something many new pet-parents have trouble with. Haha, the words “treat” and “walk” might be the exceptions. I think they know what these two words mean no matter what tone you use. Thanks for sharing, Suzanne and have a great WW! ? Good points. We are just starting therapy dog classes with Ike and it’s all new to both of us, so it’s helpful to think about my tone of voice as I work with him. That’s awesome, Peggy! Good luck with the classes and I look forward to hearing more about your experience with Ike and the therapy training. Yep, that’s when you really need them to listen. ? This post is awesome. Coming from a marketing background I’ve always know what an important role tone is whenever you’re trying convey a message but I’ve never related that back to the tone I use with Rae. I am also guilty of repeating the command with the same tone when she doesn’t listen so I definitely need to improve on that aspect! I’m so glad the article was helpful. Training pups is especially challenging when it comes to getting their attention. ? Wonderful post, Elaine, and very clever usage of those politicians 🙂 Carson & Sanders would be too soft spoken to get my pups to sit, while Trump would be too harsh and probably yell out the command. 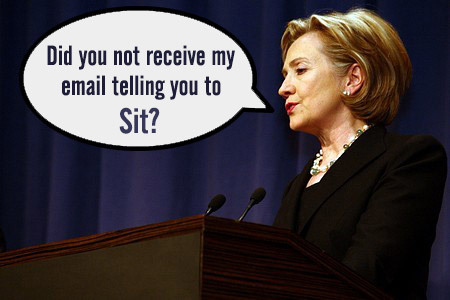 I believe that Hillary would be able to say the command firmly, but without coming across as too harsh. It’s all about the tone of voice for sure – if I want to motivate the pups to go for a last potty break in the yard before bedtime and they’re already snoozing on the couch, one excited “Squirrel!” is all I need to get them up in a split second and running to the back door. I could, of course, also use the very same word “squirrel” and say it in a monotone kind of way, and NOTHING would happen. Haha, excellent, isn’t it funny how that seems to work for a lot of pups?! Agreed, excellent post I’ll be pinning. Thanks, Pamela! I’m picturing you singing “Shut up, puppy” in a sweet singing voice, lol! Thanks for sharing the post today. ? Haha, you’ll have to teach Dave on the way it’s done. Murphy is so smart, he’s doing great with his training! ? Excellent post and I appreciate the political examples. The right tone can change our dog’s mood, energy level and anxiety. We forget how sensitive they are to our feelings and how a simple adjustment to our voice can reassure our pets. Great point about anxiety, Sharon. The right tone of voice can make a huge difference when relating to fearful or anxious dogs. Great post and I so agree. Tone is so important! It’s pretty much all in the tone! Thanks, Jackie! That reminds me of people that name their dogs horrible names, yikes! I meant to also say… thanks for hunting for House Trained at Walmart! Be sure to take a pic of the book section even if you don’t find it and send it to me and I’ll enter you in my giveaway! I’ll try to check a few other Walmarts this weekend. I know it’s somewhere in this town, lol! I’ll have to show this post to hubby. 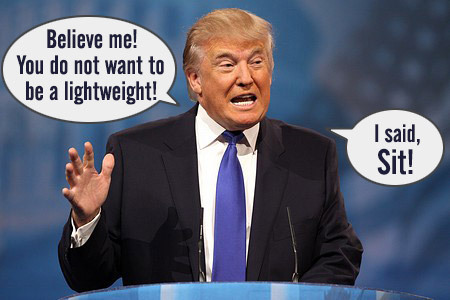 He’s the big politco in this household! On a serious note, I have to watch my tone very carefully, as my Boston terrier is very sensitive to any harsh-sounding words, even if I am not talking to her. Raise my voice just a touch and she’ll start to tremble! Aw, she’s a sensitive girl and likes a peaceful environment. I do too. ? 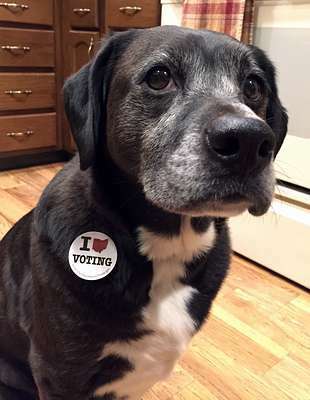 Yeah, but do any of those candidates have dogs? The Clintons used to have a Buddy, I believe. I’m sad Bidens not running because he has a German shepherd! I didn’t know Joe Biden has a German shepherd. It’s interesting to learn what type of dogs famous people have. Aw, that’s a great way to calm someone down. Haley does that sometimes too. Excellent post and a great way to get the message across! So glad you liked the post, thank you! ? Oh my goodness those pictures are so funny!! Your spot on 🙂 I agree. Tone is so important in our communication with our pups. Cocoa, even though she’s a handful, is really sensitive. 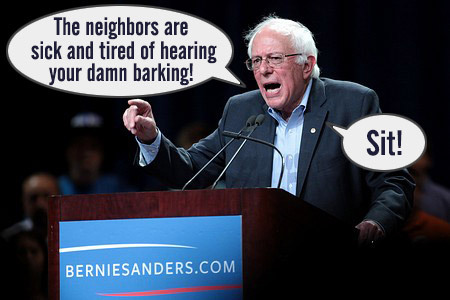 And she has certain tones to her barks to us too!! That’s an interesting way to look at it, Julie. They do have different tones to their barks, growls and grumbles too in the way they communicate with us. Great point! This is all very interesting. Many of these tones I think I use with Ruby correctly, but there are a few I could do better. One funny issue we have is when I am correcting my daughter on some behavior, Ruby almost always comes in the room and seems to think I’m also correcting her. I then have to change my tone and let her know that she is doing just fine. And then we all usually start laughing. I love it! What better way to end a lecture, with a laugh and a dog! ? I agree with many of the points that you wrote, but others, I am not sure about. For example when hubby hunts the dogs, he speaks to them in just over a whisper (or not at all using only gestures). They do pay attention as you say. However, I have seen many different pro trainers train/command dogs they barely know and their tone hardly varies (to my ears). Somehow the dogs know to pay attention and do as told. So maybe there is something more involved? I wonder if it’s because sporting dogs are bred to work and hunt with humans. Maybe they’re easier to train with various tones of voice compared to say, sighthounds or scenthounds. That’s an interesting observation, Linda. That’s really good. 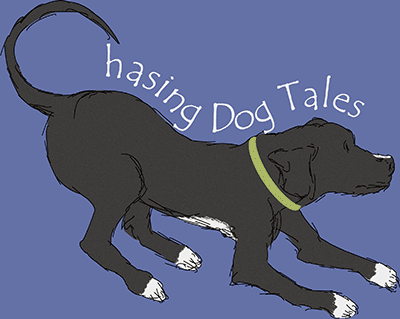 I’m going to link to that on my Facebook Page for dogs! Thanks so much for stopping by today and for sharing the post! ? Our tone of voice definitely affects Daisy, but there are some words she understands that she reacts the same way to no matter how we say them. It’s very interesting! That’s true, Haley’s reactive words are “treat”, “walk” and “go”. If we ever say “go”, she immediately starts making her case (giving us the guilt trip look) to convince us that she should come along. It works quite a bit, lol! Very clever way to get the point across, I love it! You’re so right, I can see how our tone effects our dogs. I try to use appropriate tone for each situation, makes a big difference! Thanks, Cathy! I think for most of us it comes naturally but I’ve seen a lot of dog owners that struggle with using the right tone of voice. I love this post, Elaine. Great job! I would like to add that body language and self-confidence also have a part in our communication with our dogs. Body language is also important. I have learned more and more about the importance of body language in communicating with people as well as pets over the years. People respond to body language and so do pets. It is a very important non-verbal form of communication. Great point, Rachele. I think the biggest way I use body language with Haley is by claiming space and it does make a big difference in certain situations. But you’re right, even the subtle body language signals we send out are noticed by dogs. They are master interpreters of body language. When people claim their pets can read their minds, it’s often the body language that they’re reading instead. It’s interesting that you brought up how some people issue a command like it’s a question. I’ve noticed a trend with younger people uptalking quite a bit, where their intonation rises at the end of a statement as if it were a question. Maybe that trend is carrying over to dog commands too. Great tips! It’s fun to watch Preacher listen to different tones I use. Preacher’s growing fast! Training puppies can be hard work but it’s rewarding because you’re working with a clean slate so to speak and it’s fun watching them learn and catch on. Shared this post, just fantastic information!!!! Thanks for this! Aw, it’s so nice of you to share the post, Jenna. I hope you have a fantastic week! ? Thank you, Elena! I know exactly what you mean, haha! When someone tries to give a command to Haley in a quiet, monotone voice and she doesn’t respond, they sometimes look at me like “I thought she was well trained”. Right? That’s happened to me so many times! I thought it was just that Alfie only liked to obey me, but it was the tone all along! Mystery solved. In doing a science fair on this and looking for more info. Anyway you could give me some more insight? Hi Sean, Here’s a couple of links for some additional information. If you have a dog, maybe some video footage on an iPad or laptop with your own experiments would be interesting to show how using different tones of voice might affect the outcome. Of course, there’s nothing better than having a live, canine demonstrator at the fair to help give you an edge in the contest.? I hope this helps and good luck at the science fair!? My dog (pomeranian) just hates when I speak in a high pitched voice. He gets angry and cranky. ahhh should I just stop talking like that or what? He didn’t respond this way earlier though.